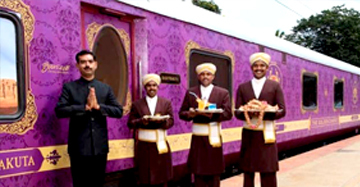 The south India’s first luxury train, The Golden Chariot is a bastion of two luxury trains crisscrossing through the authentic heritage the region is known for. 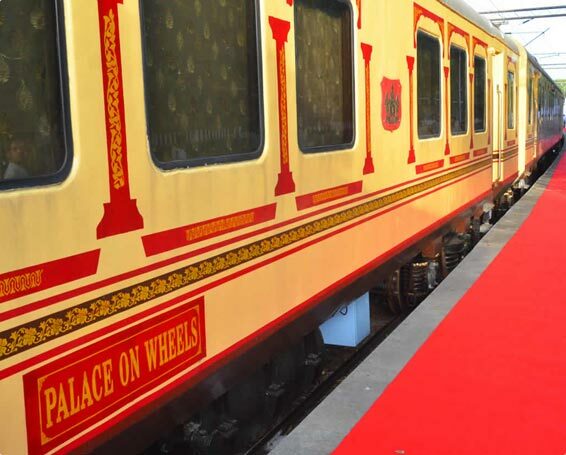 The train, named on the flashy golden chariots of the kings and warriors, is an ultimate joyride wrapped in luxury. 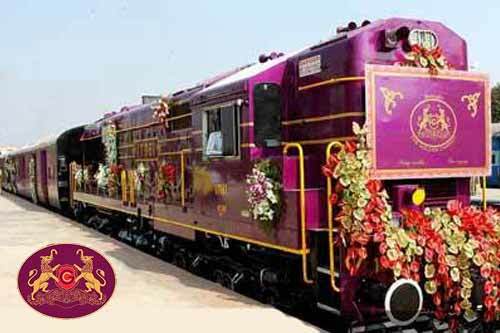 It is also said that the train is inspired by the Stone Chariot of Hampi, an excellent achievement of Vijayanagara Empire. 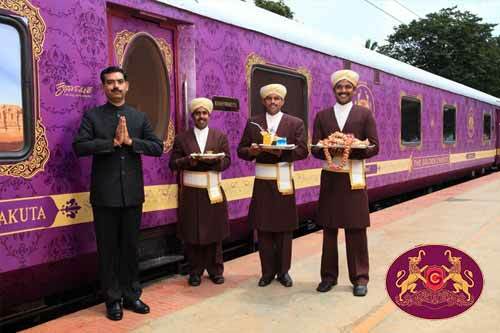 Inspired by the royalty of south India, this Golden Chariot train explores the plush royalty of the erstwhile glorious kingdoms. 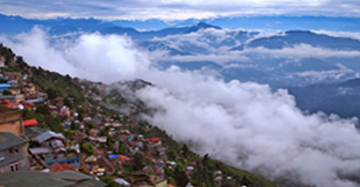 Everything right from the theme based décors, to the royal serving in the restaurants; from the pleasures of enjoying finest things to experiencing the therapeutic touch of Ayurveda, everything is par excellence. 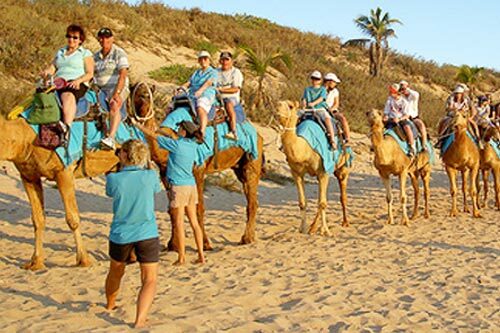 Even when the royal entourage steps out of their respective kingdoms, the passengers experience the royal tours in an indulgent way. 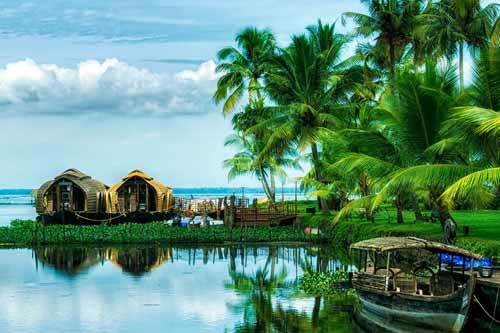 Even the luxurious cabins are named and recreated on the lines of those flourishing empires. The coach kingdoms are Kadamba, Hoysala, Ganga, Chalukya, Sangama, Satyavahana, Rastrakuta, Yadukula, Vijayanagar, Adilshahi and Bahmani dynasties. 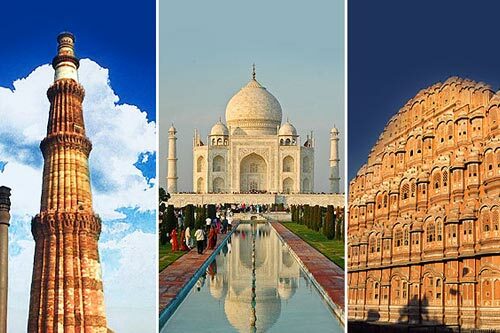 The interiors are heavily influenced by the indulgent essence of Mysore, Belur and Halebeedu. 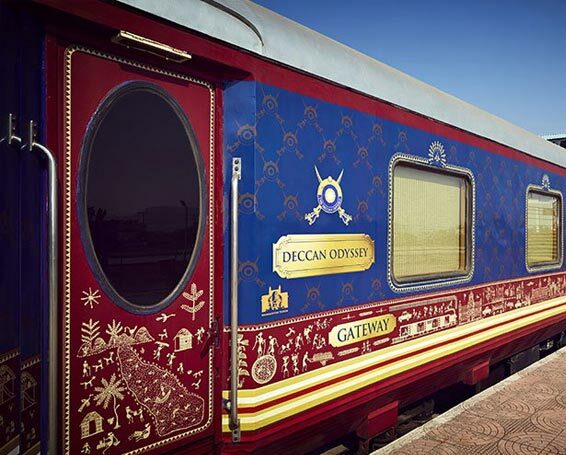 The themes of these coaches have been recreated keeping in mind the luxuries of the past. The royal bedspreads used in the Golden Chariot are sourced from the artisans straightly who are masters in crafting this excellent tradition since ages. Also, the train is appropriately designed to serve the passengers with modern comforts onboard. 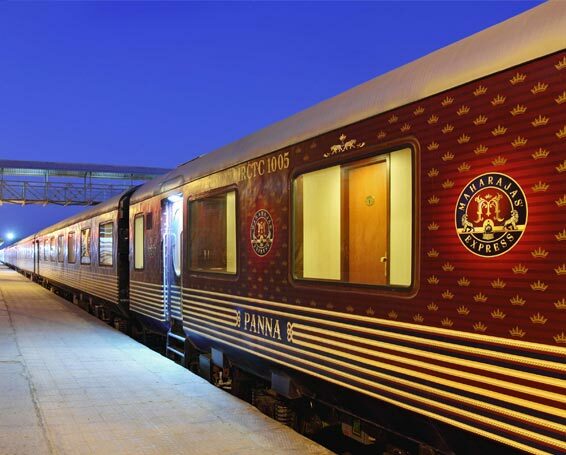 LCD TV, DVD player, writing desk, high-speed internet and fully air-conditioned coaches comprise the modern luxuries befitted in this indulgent kingdom. 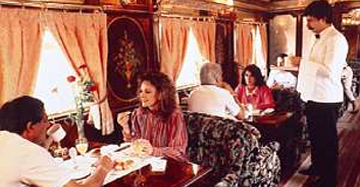 The Madira Bar is another delightful experience of this train allowing passengers to take a plunge in the lounge and taste the best of wines, liquors, spirits, etc in pleasure. The Arogya Spa and Gymnasium take care of the wellness quotient of the passengers. The two restaurants, Ruchi and Nalapaka onboard take care of the connoisseurs of taste by serving the modern and elegant meals every time. 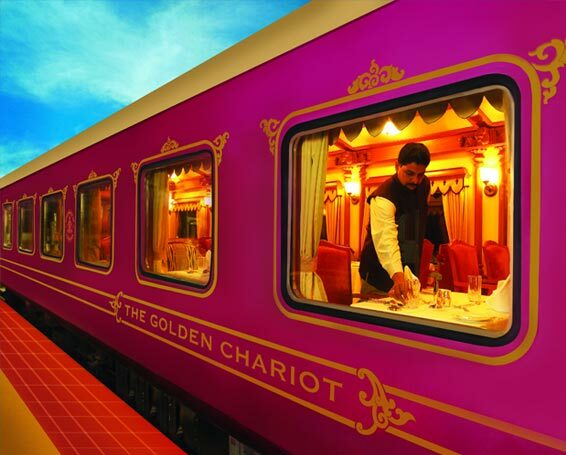 With all this and much more, The Golden Chariot takes the passengers to a dream-like trance where everything happens right beyond imaginations.